I was one of the captains of my high school’s dance team, the Bruinettes, during my senior year of high school. This position taught me many important leadership skills. First, I learned that leaders always need to be prepared. A part of my role as captain was to choreograph the team’s routines. Since I never knew when and how long we would have time to learn the routines, I always had to have my choreography prepared to teach so that practice was productive for the whole team. I also learned a lot about compromise. The year that I was captain saw a lot of changes. We had a new coach, new uniforms, and new policies. My team was so accustomed to the previous way that we did things so the adjustment was difficult for a lot of girls. As a captain, I worked with the dance team coach and marching band director to compromise on certain aspects that my teammates felt strongly about. Overall, I think my experience as a Bruinettes Dance Team Captain has helped me develop leadership skills that I can apply in many areas of my life and my future. This is a routine that I choreographed along with one of my co-captains. This past summer I had the opportunity to work at a summer camp program at a local daycare. Being Miss Jessica for the first time was very exciting. I really enjoyed spending time with my campers and leading them through activities. At first, I was just supposed to cover other counselors shifts when they were not available and help with field trips, however because of unexpected circumstances I found myself working around 35 hours a week. At first, this was really daunting. This was my first job and I had so many more hours than I originally expected. Even though I felt overwhelmed, I rose to the challenge and worked hard to make sure that my campers had a great summer. This job was a great learning experience for me. I especially learned a lot about classroom management. I experienced many failures in management and discipline of my campers, but throughout the summer I learned better ways to address behavior issues with my campers. I also gained experience communicating with parents. Throughout the summer I had to communicate with parents over many matters such as their child’s behavior, injuries, and field trips. I think this was very helpful because communication with parents is a key part of being a teacher. Going on the fieldtrips was also a valuable experience. This was my first time being on the other side of a field trip and it was definitely more stressful experience. I learned how strategic making fieldtrip groups is in order to ensure that the campers in each group all get along well. Being the leader of a fieldtrip group taught me a lot of responsibility. For instance, during our field trip to the Cleveland Metroparks Zoo, I had to guide my group around the zoo and keep a careful eye on each of my campers to make sure that none of them got lost. Overall, this job confirmed for me that I want to become a teacher. Even if I did not like my job every day, I still loved it. I built so many meaningful relationships with my campers that I will keep with me. A moment I will always remember was when I came back after being out for two days because of my wisdom teeth removal. As soon as I walked into the room, so many of my campers ran up to me and hugged me because they were so excited that I was back. During my senior year of high school I took a class called Honors Advanced Science Seminar as a part of my MedTrack program requirements. In this class I learned about scientific research. The first project we did for this class was the MedTrack Senior Conference. For this project, I had to choose a scientific research article and present the research at the conference as if I was the one who conducted the research. The article I chose was a research experiment that my brother, Jacob, worked on at Davis Heart and Lung Research Institute at The Ohio State University. I really liked learning about the research project that my brother worked on because I had heard a lot about his experience working on the project, but I had not known what his research involved. This project was my introduction to scientific research and made me interested in being involved in scientific research during my undergraduate experience. During my senior year of high school I took a class called Honors Advanced Science Seminar, which was a part of my MedTrack program requirements. In this class I learned about scientific research and the process of how to create research projects. The final project for this class was a group mock research grant proposal and presentation. The project mimicked how scientific research is formed, proposed, and eventually funded. My group began by identifying a topic that we were interested in. We chose to look at how social media affects children’s self-esteem because of the prevalence of social media use by the youth today. Then, we had to compile thirty research articles that pertained to our topic. My group members and I each found five articles that we read and became experts on. We spent many class periods combining our knowledge and connecting our ideas. Then we wrote a literature review that compiled our research on the topic. After the literature review, we explored holes in the current research that has been done on the effects of social media. We found that there was not a lot of research showing the effects that social media has on young children. We thought that this would be an important topic to research because social media is heavily used by young children. Once we chose our research question, we began formulating our experimental design. After developing our experiment, we created a presentation that mimicked a grant proposal presentation. 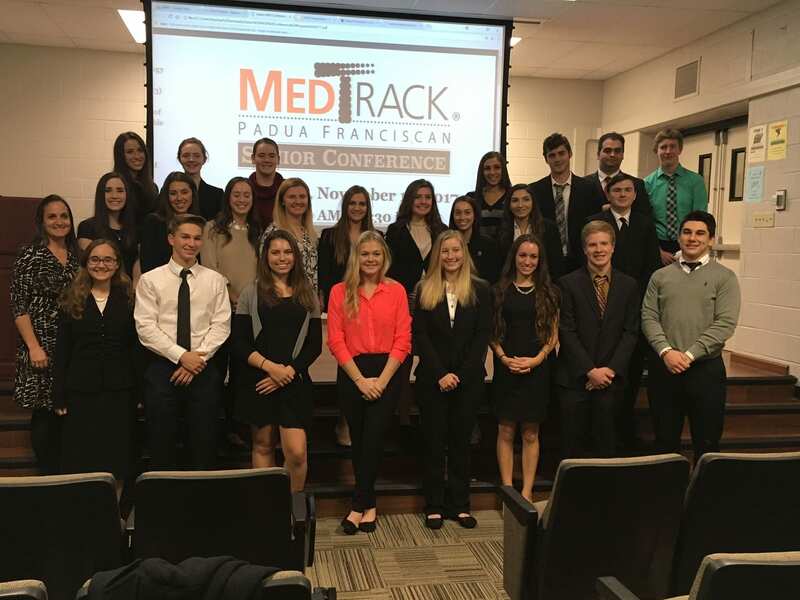 Our project culminated at the MedTrack Senior Mock Grant Proposal Conference where we presented our project to a panel of judges from the MedTrack Advisory Board. This project was a hands-on experience of the process of creating scientific research. This project, and the Honors Advanced Science Seminar class overall, piqued my interest in research. With the foundation that I have received through this project and this class I hope to be able to participate in scientific research as an undergraduate student at The Ohio State University. The ACES Pillars Film Project is a group project that I presented in my SCHOLAR 1100.01 class. My group chose to watch the documentary Sounding the Alarm: Battling the Autism Epidemic. This documentary explores the lives of families with children with autism and tells the story of how Autism Speaks was founded. I learned so many things by doing this project. I was unaware of how important therapies, such as applied behavior analysis, are for children with autism. I was also unaware of how difficult it can be for parents to get this therapy for children because of lengthy waiting lists and lack of insurance coverage . I was amazed at how many states do not require that autism services be covered under health insurance given the prevalence of autism today. This project opened my eyes to the injustices in health insurance policies that prevent many people from getting the care that they need. 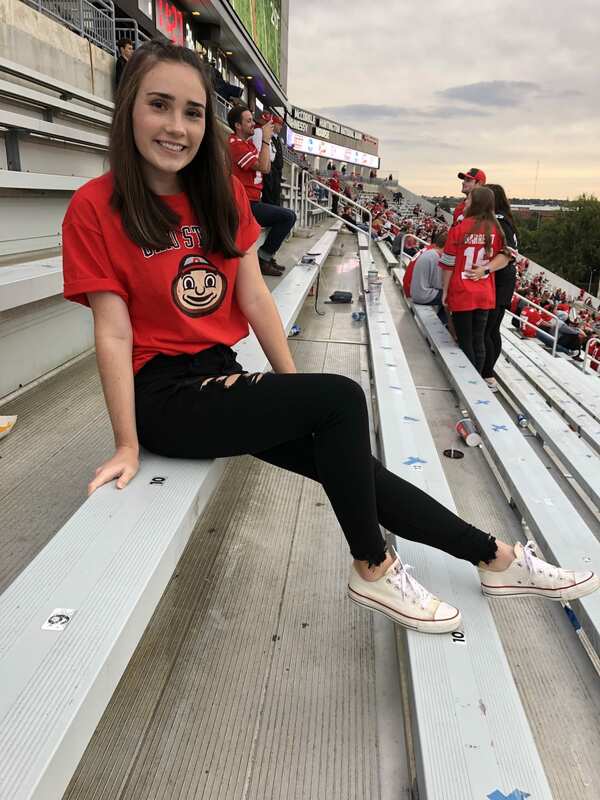 My name is Jessica Grimmer and I am a first year at The Ohio State University. I am majoring in Early Childhood Education with a minor in dance. My career goals include being an elementary school teacher and a dance teacher. While at Ohio State, I hope to work on research projects pertaining to education. I know that my experience at Ohio State will prepare me to accomplish these goals and more in the future. I am an Advocates for Communities and Education scholar. This program is focused on service, advocacy, and social change. I am involved in the Ohio Student Education Association and Penpals, a club were I write to a Columbus City School student. I am also involved in Studio Dance which has given me a great dance community on campus. I work as a summer camp counselor for the Cub House Child Care Center’s summer camp program. This job has given me valuable experiences and opportunities that apply to my career goals. As a counselor I plan activities, oversee the campers, and chaperone field trips.